Joyetech Espion Kit Review - Daily Vaping Deals & The Best Vape Product Reviews at Vaping Cheap! Joyetech has released many vape starter kits over the years, and they’re back yet again with their newest release, the Espion with ProCore X. This one features a new large 1.45 inch color display screen, centered 510 connection, user friendly interface and a slightly updated ProCore sub ohm tank. 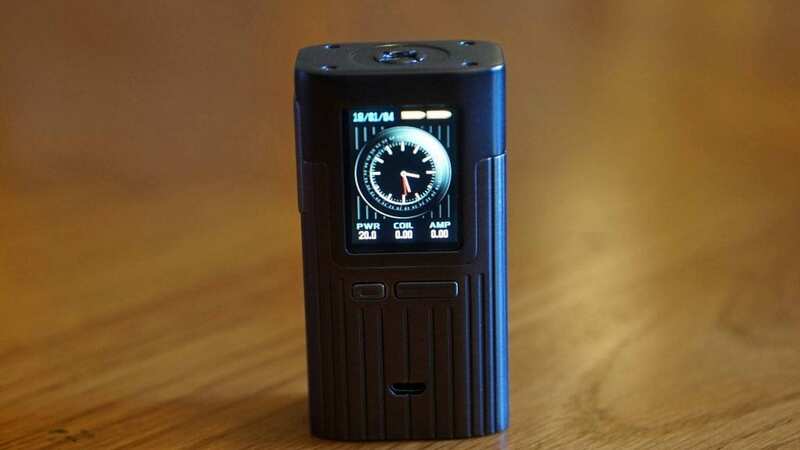 Just like other Joyetech vape mods, the Espion is packed with features and has a newly added function button to make it easier to navigate through its menu system. Before getting any further into this review, we’d like to thank VapeSourcing for sending this vape starter kit our way for the purposes of this review. 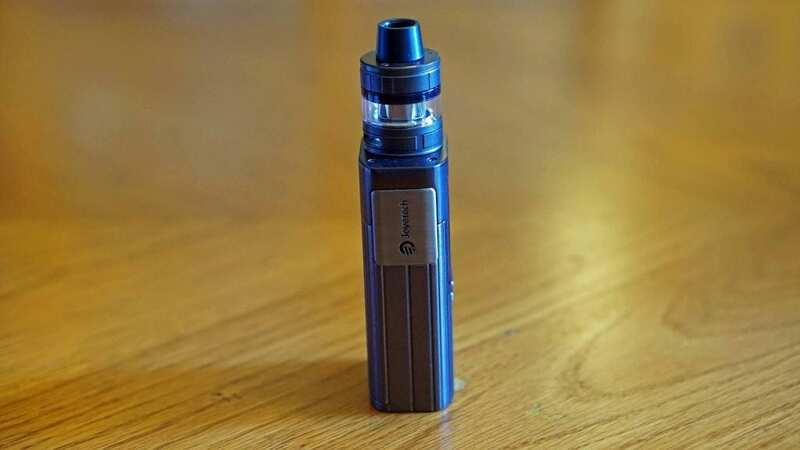 We’ll cover our first impressions, usage, performance, pros and cons, and conclude with whether or not we recommend the new Joyetech Espion Kit! Click Here to Check Out the Joyetech Espion Kit 200w with ProCore X Tank! The Joyetech Espion with ProCore X Starter Kit comes in a relatively familiar packaging we’ve seen before from this company, which isn’t a bad thing. However, do keep in mind that I did receive the sample packaging, so the final retail packaging may be different, but honestly I think it’d be pretty much the same. On the front you’ll see an image of the entire vape kit and on the back it’ll give you some more information such as what’s included. I did receive the Gunmetal color, but there are two other colors available which are Black and Blue. Everything is secure in the packaging, which is always a good thing! Once you slide open the shiny box, you’re immediately met with the Espion 200w TC Box Mod. Underneath it is where you’ll find everything else which are the ProCore X sub ohm tank, spare coil head, extension glass and chimney, warranty card, warning card, bag of spare parts, and a QC USB cable. I do like the fact that they included two different glass tank sections. The pre-installed replacement glass tank has an e-liquid capacity of 2ml while the other when installed with the extension chimney has a 4.5ml e-liquid capacity. My first impressions of the Espion by Joyetech is that it’s incredibly sleek looking, and definitely looks more expensive than it actually is. It’s very classy looking and surely one of the more eye appealing mods from Joyetech in my opinion. I also noticed the incredibly large 1.45 inch color display screen, which does remind me of the Wismec Sinuous Ravage230 Kit. The wattage up, wattage down and function button are located right under the screen. The micro USB port is also located right on the front and is under the wattage and function buttons. The fire button is located to the side and has Joyetech branding in the middle, which is a nice touch. I do want to mention that this device does have a centered 510 connection, which is something I do like to see with newly released box mods. This is definitely a pro in my book as this makes your larger atomizers look great and best of all sit flush with no overhang! The Joyetech ProCore X Atomizer pretty much reminds me of the original ProCore vape tank, but with subtle differences. Honestly, I really didn’t notice much different at first, but it does look slightly different. Like the previous version, it is compatible with the ProC series coil heads, has fully adjustable bottom airflow and has the same top fill design where you simply push where the marker is located and it flips open. This top fill design is very easy to use and the fill ports are generously sized, so you’d have no problems filling it with any e-liquid bottle. The only down side I found for this tank is that you cannot use your own drip tip as the included one is propriety. I actually like the included drip tip since it is quite comfortable and looks good, so it wasn’t an issue for me. However, I can see some vapers looking at this as a con for sure, so it’s worth mentioning. All in all, my first impressions of the Joyetech Espion Kit were great! I didn’t really have any cons to be mentioned aside from the subjective one for the ProCore X and its included drip tip. The Joyetech Espion 200w TC Box Mod does feature an ergonomic and fairly compact design, making it comfortable to hold. There aren’t any sharp edges either to be found, which is always a good thing! With its size and shape, you wouldn’t have any issues whatsoever carrying it in your pocket or bag, that’s for sure. The wattage and function buttons are slightly protruding so they’re easy to find without looking. The same can be said about the fire button as well. However, there is some minor play with the fire button when you tap on it with your finger. There isn’t any rattling or anything, just that really, which you won’t be doing while vaping. I will say that the overall fit and finish of this device is pretty good, especially when considering its price. The battery door is very similar to a lot of other box mods on the market, where it slides open and you can insert your batteries. One thing I do want to mention with this is that batteries with wraps that are thick do fit quite tight in there. So, if you have thick battery wraps on your batteries, I wouldn’t recommend using them in this mod as it can be a bit time consuming to take out or worse, get stuck. I never had any of my batteries get stuck, but you rather be safe than sorry. Other than that, the battery door itself keeps the batteries in place securely. Navigating through the menu system is quite easy and is pretty similar to the Wismec Sinuous Ravage230 Kit which we recently reviewed. Just like most other vape mods, a simple five clicks of the fire button will turn it on or off. Once the device is on, a simple three clicks of the fire button will enter the menu where you can choose between Mode, Set, Info and Colors using the function button. Pressing the fire button while in the menu will take you back to the vaping screen. Pressing the function button while on the base screen will turn the screen on or off, which is great if you want to conserve as much battery life as possible. You can also press and hold the function button to quickly cycle through your different TC options and TCR settings, which is another nice touch. The display screen is nice and bright, and is certainly easy to see which is a pro for me. You can change the color you desire as well in the menu system. The 510 connection is centered as mentioned previously; therefore atomizers up to 28mm in diameter will have no overhang. I did try out a bunch of atomizers with longer 510 pins and they all sat flush and made a connection with zero issues. One thing I did notice with this device is that when it’s asleep and the screen is off, there is sometimes a slight delay when pressing the fire button. Also, sometimes it’ll fire instantly before the screen even turns back on. This is a con for sure. The included ProCore X sub ohm tank is pretty standard and very easy to use. It has a traditional coil system where you screw the coil into the base. As always, be sure to prime the installed coil head with e-liquid and let it sit for a few minutes before use. The airflow is easily adjustable when it’s attached to the Espion, and the drip tip is very comfortable. The drip tip is constructed of delrin, so it never got hot on me while vaping. The top fill design does make for quick filling and best of all you don’t have to take off your drip tip in order to access it. Overall, using this starter kit over the past couple of weeks has been good! There were some minor issues I encountered when using it, but nothing that I would consider a deal breaker. The Joyetech Espion Box Mod does have a maximum wattage output of 200w and does require 2 high drain 18650 batteries for operation. While I don’t have the equipment to really test out its accuracy, I can say that it feels close to or at 200w when set there. If you are vaping at these wattages, be sure to always understand battery safety and ohms law. I wasn’t really using this device at that high of a wattage, especially when using the included sub ohm tank since the coils aren’t rated nowhere near that high. I was mostly using the Espion between 45w and 65w, and it performed flawlessly in wattage mode. This was expected, since I never had an issue with Joyetech devices in wattage mode. In temperature control mode, it worked just okay. It was a bit inconsistent in my experience and I did adjust the TCR value to my preference. I personally don’t vape TC mode often, so I didn’t utilize this function much, but for those vapers who often vape in TC mode, you might be not be happy with this one. It does work a bit better when you dial in your preferred TCR value, but I still ran into some inconsistencies. If you’re a TC vaper, then I’d highly recommend a DNA box mod for sure. The battery life on the Espion is on par with other dual 18650 box mods on the market. I could easily get through most of the day without needing to recharge or change the batteries while vaping between 50w and 60w. 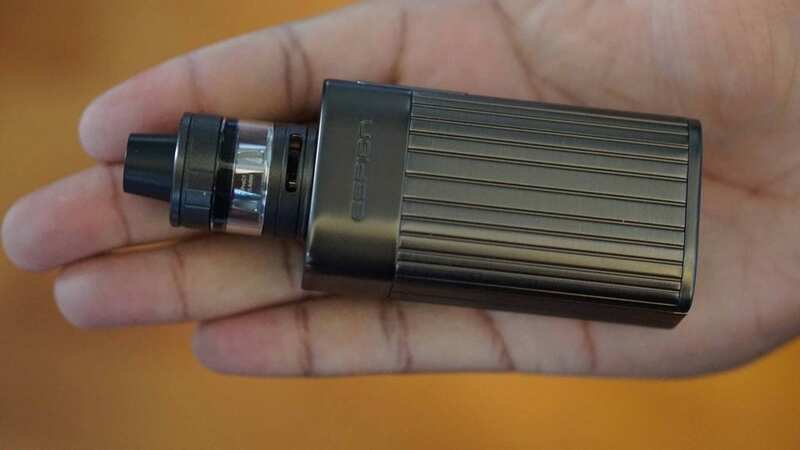 If you’re vaping at higher wattages, then the battery life won’t be as good of course. Vaping at 90w and above, it’ll last me about half of the day while vaping on and off. This device does feature 2A charging, but I still only recommend charging your batteries externally. This vape kit includes both a 0.4 ohm and 0.25 ohm coil head. In regards to overall performance, they both performed pretty much the same and I vaped them both around the same wattage which was between 45w and 60w. The flavor on these coils are actually pretty good, and the same can be said about the vapor production. Now, don’t expect to blow massive clouds with the ProCore X as it’s more of a mid wattage vape tank. The coil longevity will be determined by the type of e-liquid you’re vaping. For example, when I used an e-juice with a lot of sweetener, I only got about 3 or 4 days worth of vaping time before I noticed a major decrease in performance. When vaping on an e-liquid with very little sweetener, I could get about a week out of these coils before needing to replace it. The coil life is about average on these. I will say though that the break in time for these coils are very minimal and I got full on flavor pretty much instantaneously. The airflow on the ProCore X is nice and smooth. I did prefer to close it off just a little bit to add some more restriction to the vape experience, and this did help a bit with flavor. With it open, there is a very slight restriction to it, but it’s a comfortable direct lung vape. I was using this vape kit primarily with the 2ml glass tank on since I did enjoy the way it looked matched with the Espion. However, you’ll go through 2ml rather quickly. When using the 4.5ml tank section, you could get a solid two hours or so of vaping before needing to refill. Of course, this is all subjective and will be determined by how much you vape and the wattage you’re vaping at. Like mentioned before, filling this tank can be done easily. All in all, the performance of the Joyetech Espion Kit was pretty good! I did have some issues with consistency in TC mode, but since I vape primarily in wattage mode, it wasn’t a huge deal for me. In conclusion, the Espion Kit from Joyetech is a classy looking vape kit that offers good overall performance. The included ProCore X atomizer is a solid sub ohm tank and I was surprised by the break in period of these coils. I was getting pretty much full on flavor right away after initially priming it and waiting only a few minutes. The large 1.45 inch display screen and user friendly user interface on the Espion makes it easy to use for both the beginner getting into box mods and advanced vapers. There were some cons to be mentioned with the Espion Kit and the major one is definitely the temperature control performance. It was a bit underwhelming and pretty inconsistent. Setting in your preferred TCR value did help a bit, but I do think they should released a firmware update to fix the TC performance. This is why it’s great these new mods are firmware upgradeable, as issues like this can be easily fixed by a simple firmware update. Also, I did receive a sample, so the issue may not be there on the retail version. Overall, I did enjoy using this kit and I do love the looks of this one. I think Joyetech made one of the nicest looking dual 18650 mods on the market today. If you’re looking for a new vape starter kit capable of 200w and you’re primarily a wattage mode vaper, I can surely recommend checking out the Espion Kit. For under $45, I think it’s a great deal.